Hi all! 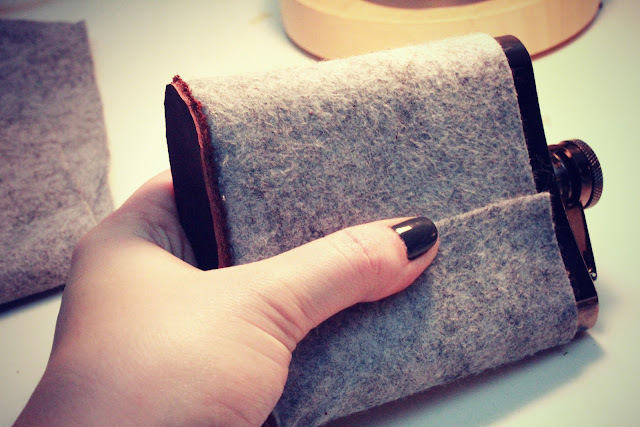 Today it's my turn to share my Stuff Your Stockings diy gift idea! I chose a very man-friendly gift, as you can see. 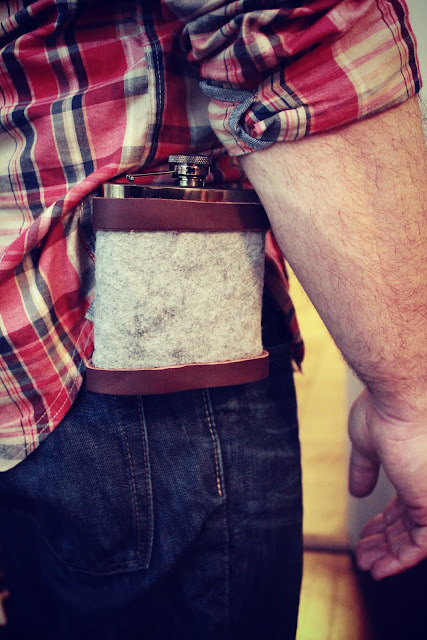 It's no secret that man-gifts are in short supply in the craft blogger realm. 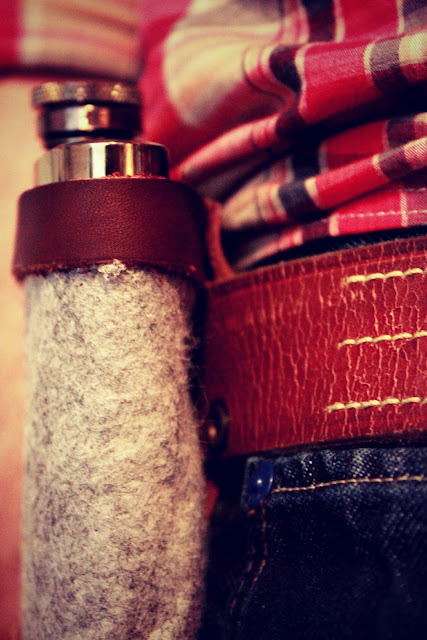 We generally tend to make things for ourselves. I ran this idea past my husband a few weeks ago and he seemed to really like it, so I went for it. And even better than it being leather and wool felt... it's no-sew!! 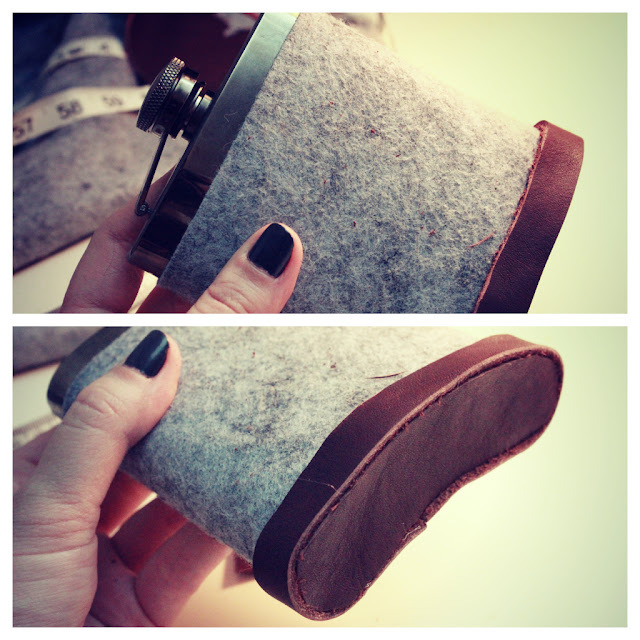 First: Use your flask as a guide to cut out the base from leather. 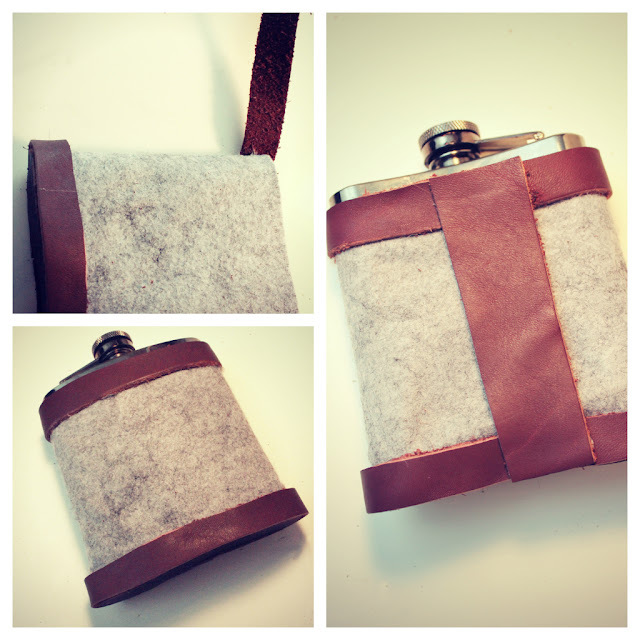 Cut about 1/8" out from edge of flask. 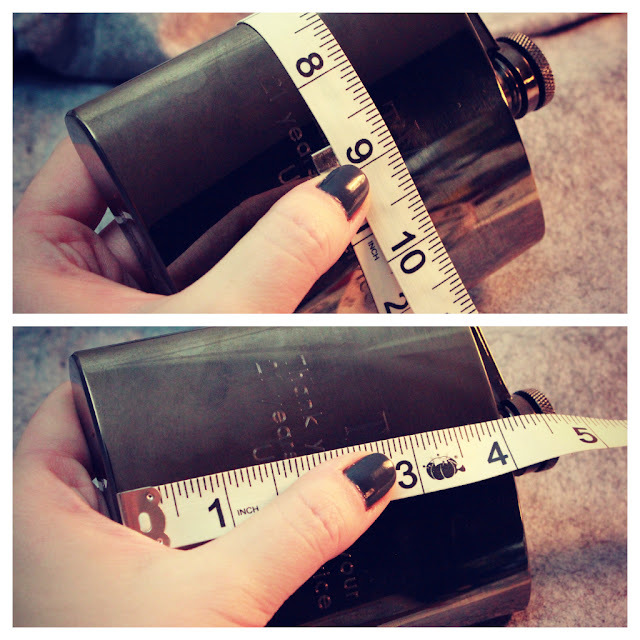 Second: Measure the distance around the flask and the height of the flask. 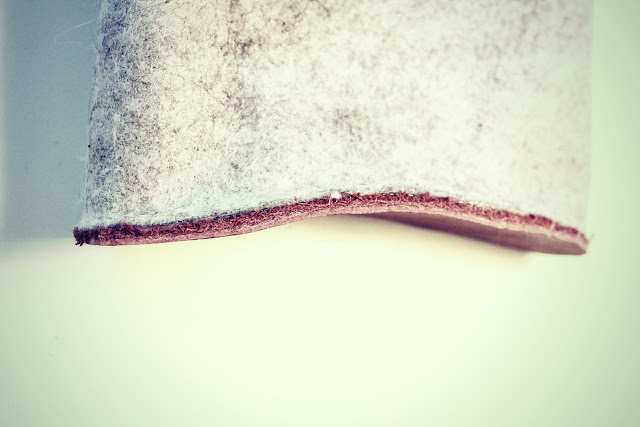 Cut your felt accordingly. 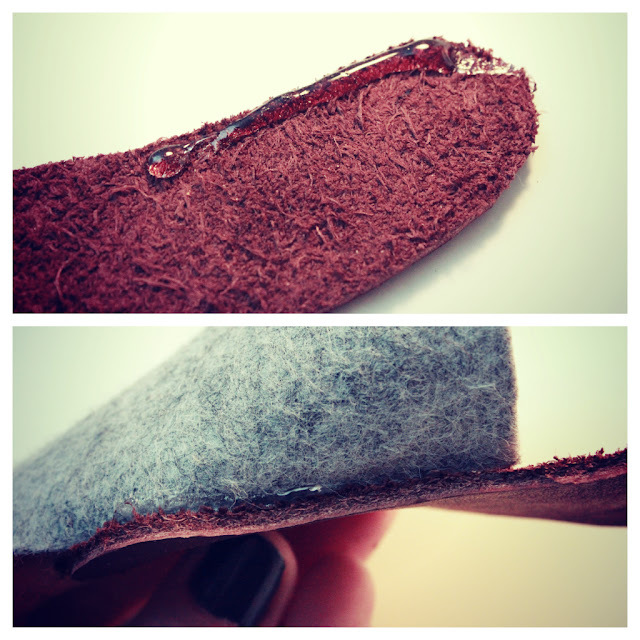 Third: Using your glue gun, glue (one inch at a time) the felt to the leather. 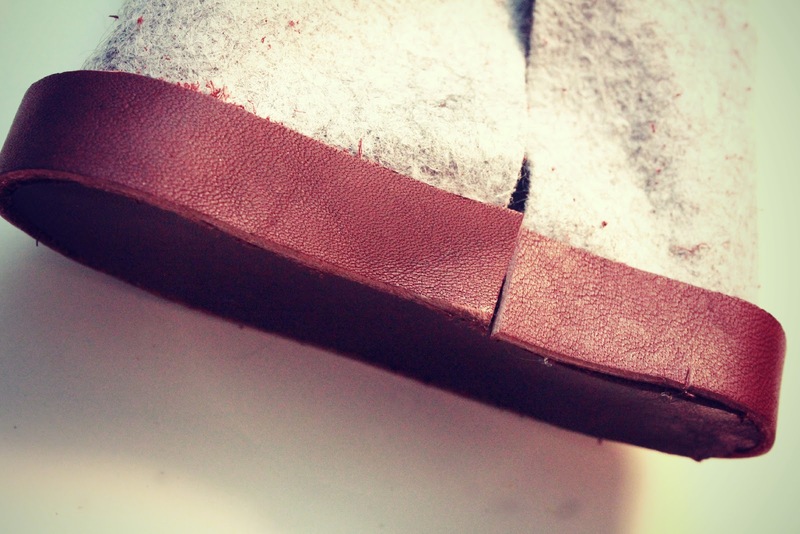 Get as close to the edge as possible without glue seeping to the outside. 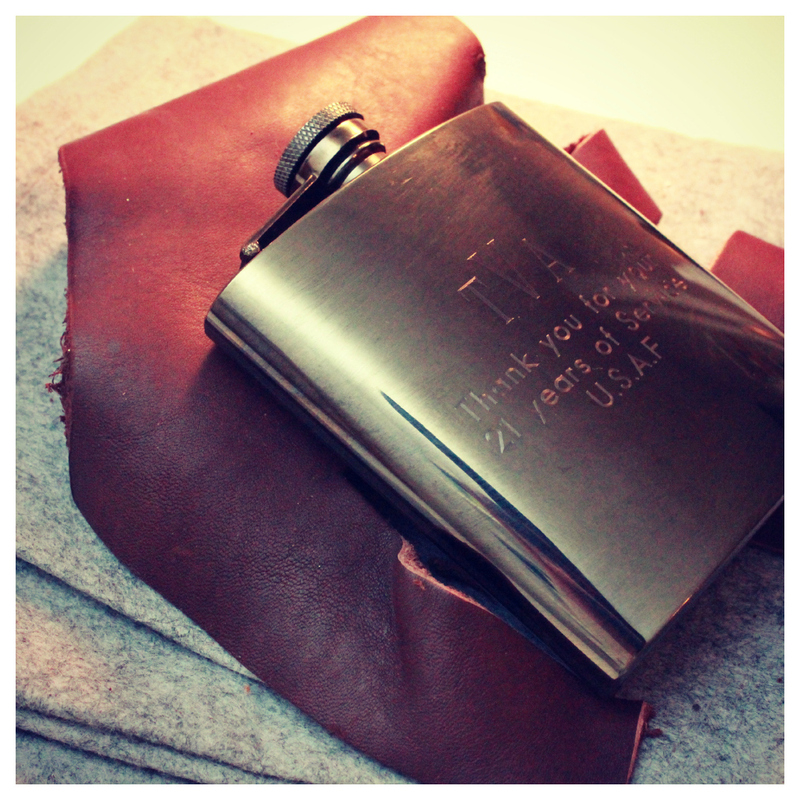 Fourth: Once the glue has dried, slide the sleeve onto your flask. Pull the felt tightly around and place a little glue to hold seam together. 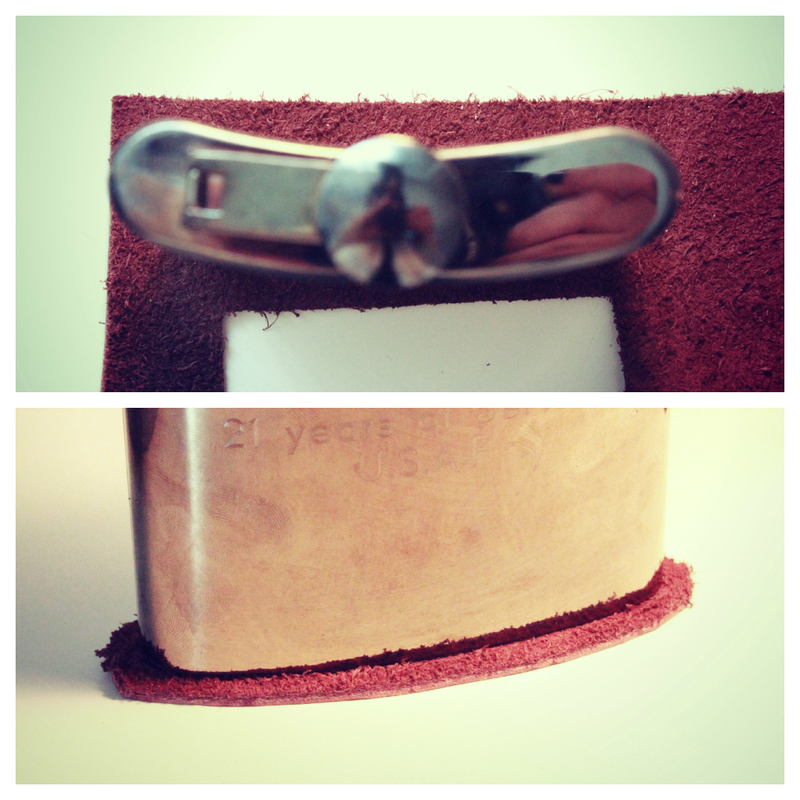 Fifth: Cut a 1/2 inch band of leather and glue around base to hide the seam and strengthen the sleeve. 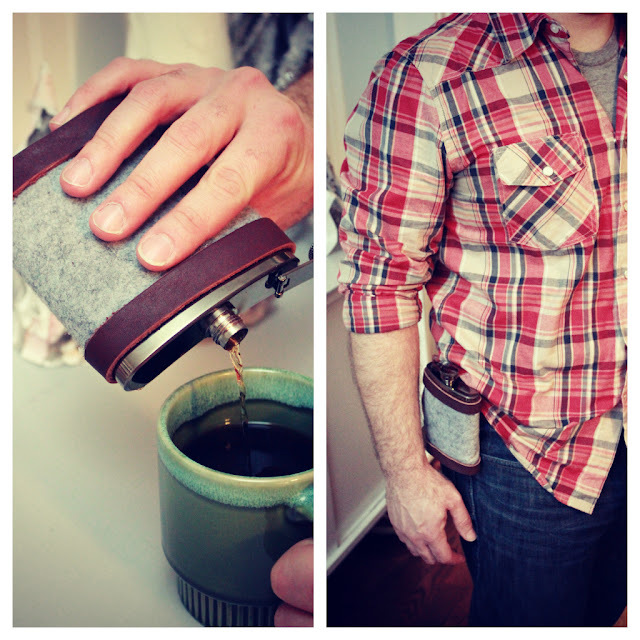 Slide your flask in the sleeve to make sure everything fits properly! 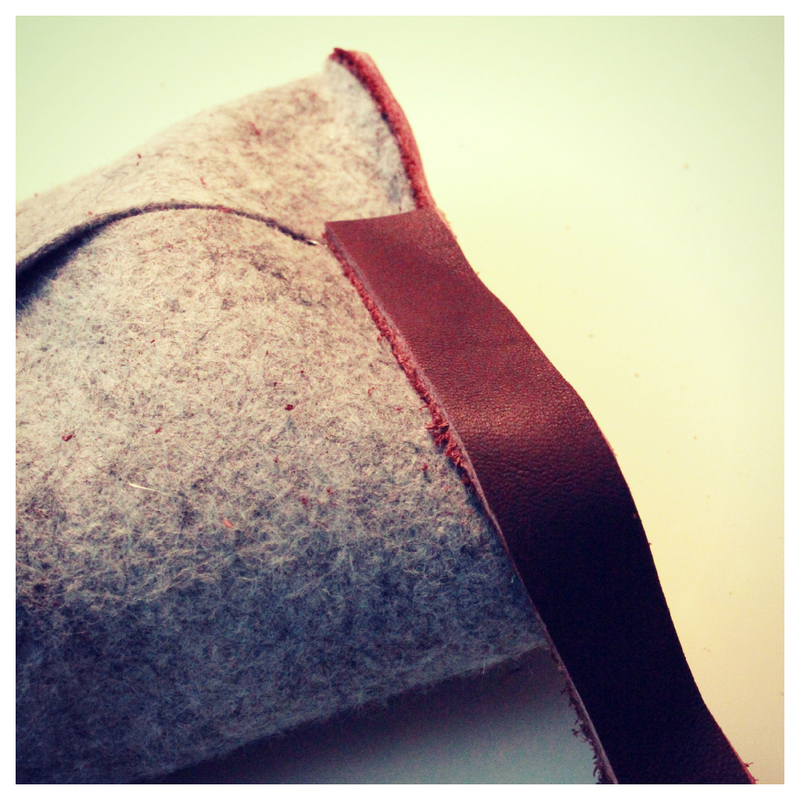 Sixth: Add another 1/2 inch band of leather around the top of the sleeve. 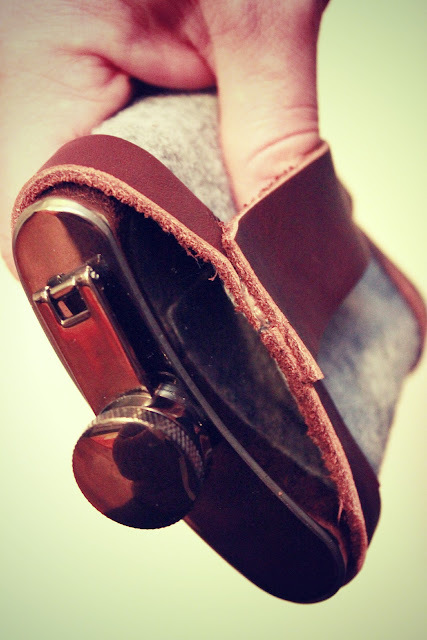 Seventh: To hide the seam in the back, cut a 1 inch piece of leather the length of the height of your sleeve and glue only to the leather bands on the top and the bottom. 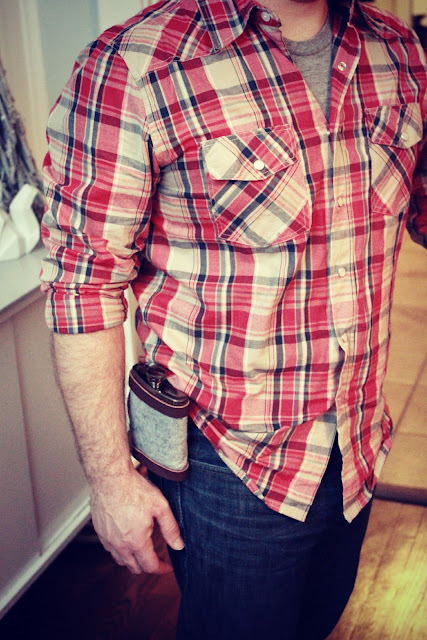 This will serve as a belt loop... which would be perfect for a hunting or fishing trip! Now find a handsome man to give it to! 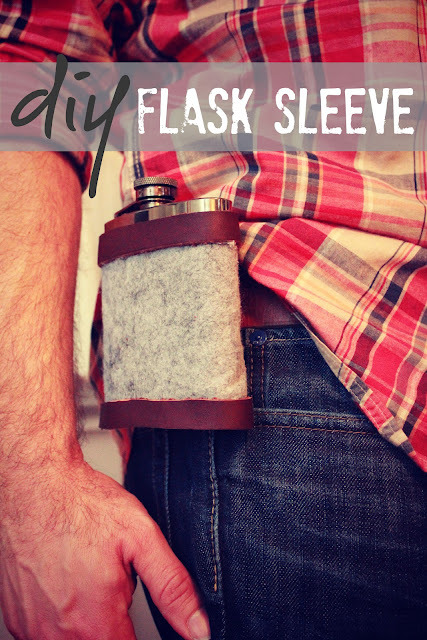 Oooh, this is so neat! 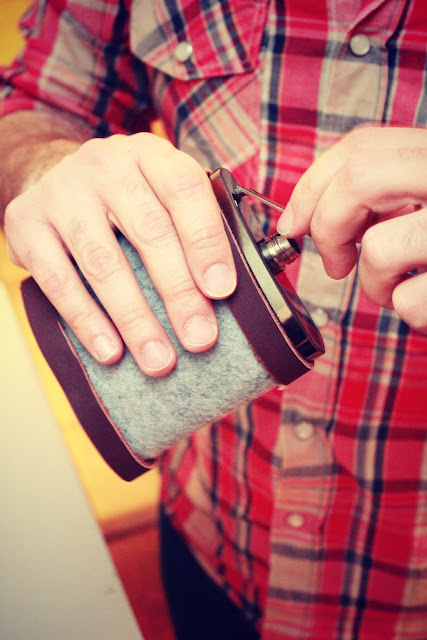 I love a good manly gift. So many DIY ideas for guys are kind of frou-frou. I'm not sure if that's a real word, but you know what I mean, right? :-) This is a seriously manly-looking present! 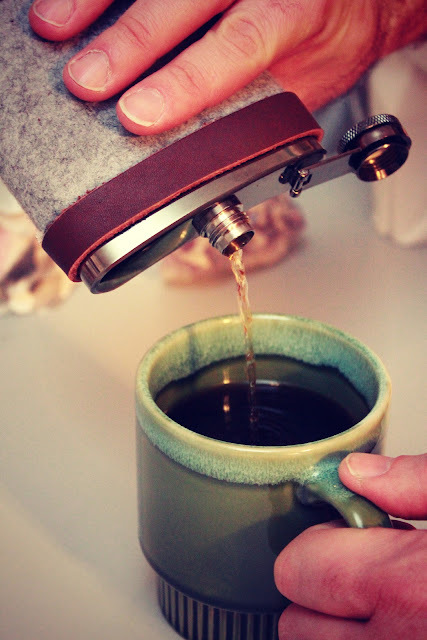 I love this idea for a cup as well... AWESOME!